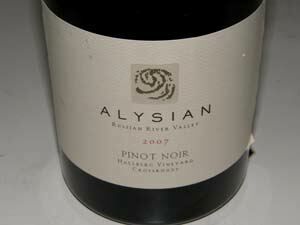 Gary Farrell is considered by many the father of Russian River Pinot Noir. 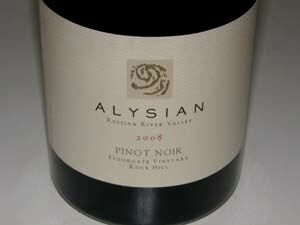 Since the 1980s, his wines have been among the best from the Russian River Valley. After making his first wines at Davis Bynum, he started his own label in 1982. That year, Farrell made the first Pinot Noir for Rochioli Vineyard and Winery and his first Gary Farrell Pinot Noir consisting of 50 cases of a blend of Rochioli West Block and Allen Vineyard. It sold for $80 a case. 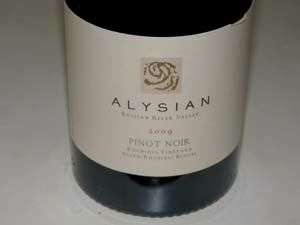 His 1985 Pinot Noirs, which offered elegance yet intense and nuanced flavors, low alcohol levels and generous acidity, really spurred my enthusiasm for the potential of California Pinot Noir. Farrell was to sell his eponymous label and Westside Road winery to Allied Domecq in 2004. Subsequently, it was sold it to Beam Wine Estates. Gary Farrell Winery was then acquired by Ascentia Wine Estates who sold it to Vincraft in 2011. Farrell, then 57 years old, had difficulty working under corporate ownership and was unable to remain connected to all phases of winemaking. He left the winery in 2006 to return to his roots as a micro-producer of Pinot Noir. 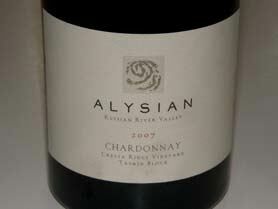 Farrell partnered with Denise Sanders and Bill Hambrecht to found his own new label, Alysian Wines (ah-liss-ee-uhn). 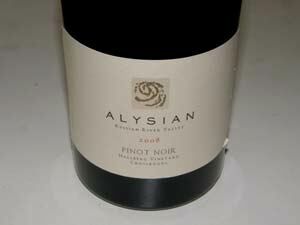 Alysian refers to an endeavor arising from intuitive creativity and artistic resolution. 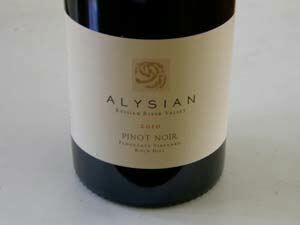 The goal is small amounts of “no compromise” Pinot Noir. A new winery was planned at the Floodgate Vineyard along Trenton-Healdsburg Road, but I don't believe this was ever built. The Hambrecht family has been in the California wine business for over 35 years, partnering in esteemed brands like Ridge, Chalone and Truett Hurst. Bill Hambrecht was among the first visionary business owners to open a winery on Healdsburg's Westside Road in 1982 (Belvedere Winery). 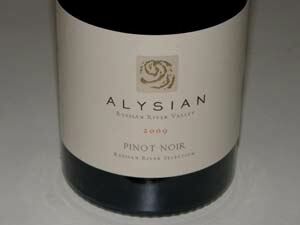 The first three 2007 releases are scheduled for September 2009 release (Russian River Valley Pinot Noir, Floodgate Vineyard Pinot Noir) followed in early 2010 with vineyard designates from Rochioli Vineyard, Starr Ridge Vineyard East Terrace and Hallberg Vineyard Crossroads. Total production in 2007 was 3,000 cases. The wines are sold through a mailing list. 707-431-4410. I was fortunate to be able to sample the first three wines before release. These are marvelous wines and I am sure they will achieve cult stardom quickly. Update: In 2013, Farrell left Alysian to concentrate on his hobby of buying and selling collector cars. His last vintage was 2012. Floodgate Vineyard was subsequently sold. 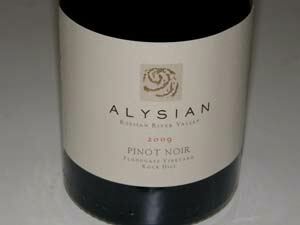 In June 2016, I received a communication from Woody Hambrecht who has revived the Alysian label. He is now the Managing Partner, Co-Winemaker, and third generation member of the Alysian family. He is also a partner at Truett Hurst Winery. A tasting room was opened on Westside Road in Healdsburg. Winemaker Shane Finley (Lynmar Estate) has joined Woody and cellar assistant Angel Correa in the cellar. 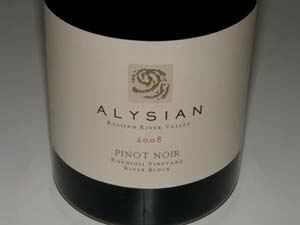 Fruit sources will continue to be Rochioli and Allen vineyards for Pinot Noir as well as Ritchie Chardonnay. The winery will start buying grapes from Elk Prarie Vineyard in Humboldt County, and sourcing Viognier and Sauvignon Blanc from Grist Vineyard in Dry Creek Valley. 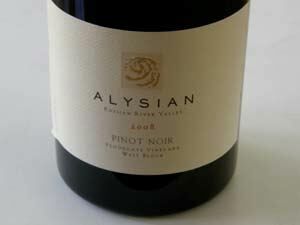 Pinot Noir and Gewurztraminer will be sourced from Anderson Valley and some Pinot Noir from Durant Family Vineyard in the Dundee Hills of Oregon. The 2012 wines were released in May 2015.